It so happen that the movie Planes 2 was featuring and I had this sudden urge to let Adam have a proper Movie at the Cinema experience after the disastrous Man of Steel.. I sort of prepare and double prepare for everything.. put him in the most comfortable attire..brought his monkey neck pillow and a throw blankie that he got from Emirates Airlines and also loads of titbits.. 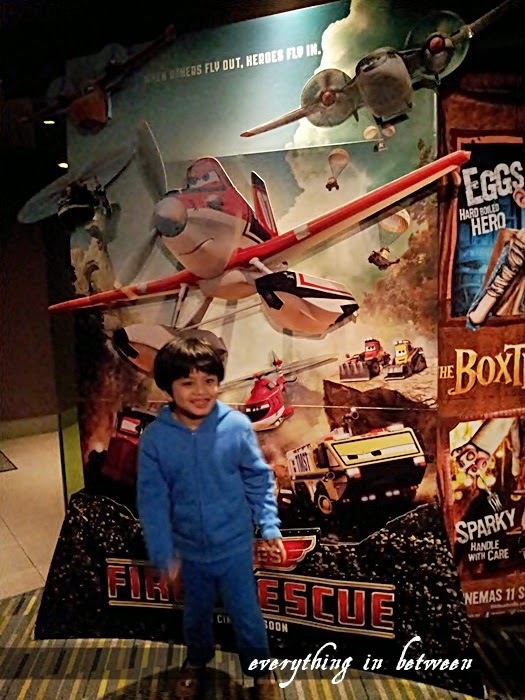 It was a successful experience since he can't stop asking me to bring him for another round of Planes 2 at the cinema.. hee!